Written and directed by music video filmmaking duo Daniel Scheinert and Daniel Kwan, collectively known and credited as the "Daniels", Swiss Army Man—often accurately referred to as that "farting corpse movie"—is a bizarre but sweet exploration of loneliness and hope for the pair's feature film debut. Starring Paul Dano as Hank, a man seemingly stranded at sea before finding the washed up deceased body of Daniel Radcliffe, referred to as "Manny", the film is a both a sad and uplifting work of human imagination and relationships. 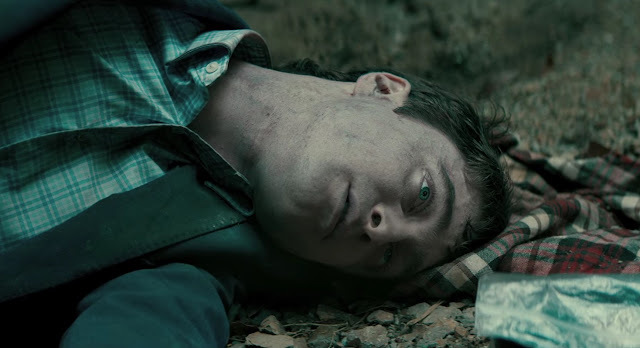 Swiss Army Man acts essentially as a two-hander with Radcliffe's limited but very impressive performance really building to Dano's sad but hopeful demeanour channeling Robinson Crusoe. The chemistry and grounding of the strange premise of Hank interacting with the magically revived personality of a random dead body that ends up saving him is daunting but mostly refreshing. It's a testament to everyone's creative commitment to that absurd story that makes much of the film work in an endearing fashion. Filled with flatulence and erection jokes, the loose narrative story takes its time fully exploring Hank's twisted mind and daydreams as he bonds with the imaginary (though it's not entirely clear) relationship with Manny. What's real and imagined starts to blur as more obstacles and the real world start to linger in their minds. The film works when it does based on the sheer talent of Dano, Radcliffe, and the Daniels. Swiss Army Man more than justifies its offbeat existence but never quite meets its lofty narrative ambitions and visual goals as it barrels towards an impossible ending. However, the film's very last line perfectly summarizes your reaction to the entirety of what you've just finished watching.